I am still working through a lot of spaghetti squash from our garden and must plant more next year since it seems to be a top producer! 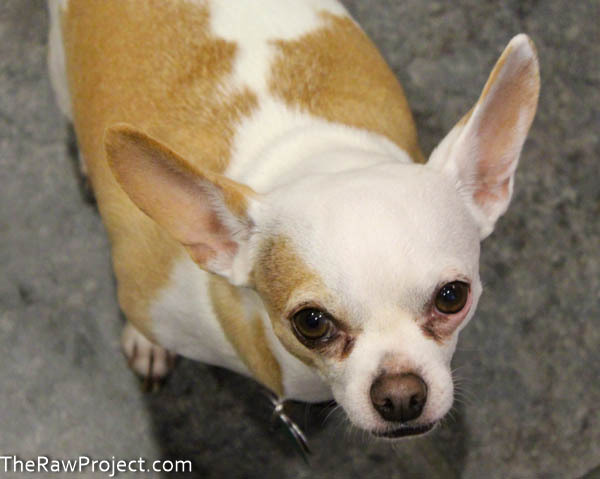 That’s great for the chihuahuas, they both love simply steamed spaghetti squash added to their dinner bowls. But last night I was drawing a blank on what to do with the squash for dinner. I guess I had a case of the blahs at the long weekend being over and temps in the high triple digit heat range all this week, WTF September?! But I did have a stash of pumpkin seeds in the pantry and a basil plant going nuts in the garden and decided on a comforting, fun pesto sauce variation to toss the steamed spaghetti squash with. This pesto has a tangy garlic basil kick with a nutty texture from the raw seeds and worked well with the milder, slightly sweet squash. Place all ingredients into a high speed blender and blend to desired texture. Serve and enjoy! Makes 4 servings. I tossed in chopped tomatoes for added color pop. 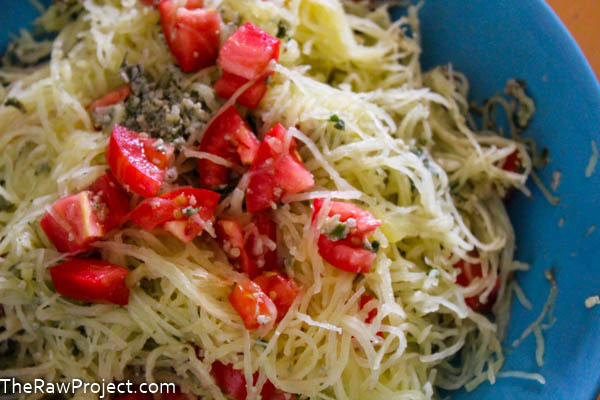 And enjoyed this tangy, hearty, and comforting pesto spaghetti squash dish. It was filling, but still light, flavorful, and fun. 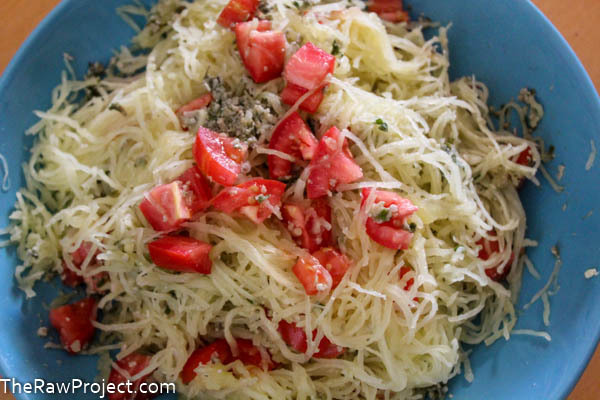 Try this simple pesto sauce with spaghetti squash or spiral sliced zucchini to combat a case of the blahs. 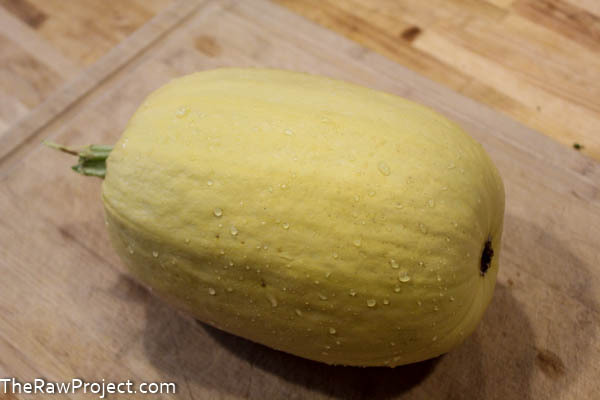 My pups love most squashes but I’ve never tried giving them spaghetti squash – I bet they’d like that too! Thanks on the pesto, pumpkin seeds are a fun alternative that added a slightly nuttier flavor. I read that spaghetti squash is great for dogs too with nutrients for their eyesight and mine could eat tons of it. My pantry, freezer, and cupboards are getting pretty low and I think I will be experimenting with what ever nuts and seeds I have on hand to compensate I know I have pumpkin seeds might have to try this or something like it! YUM! Thanks and ours is getting low too, fun excuse to use stuff up. Pumpkin seeds add a nice nutty flavor and good fats too! Next time I make pesto I will definitely try this – looks so yummy! And I know, this weather has been crazy. We don’t have A/C so I have been dying! Thanks on the pesto! The temps in San Francisco are crazy too for this time of year, hang in there! I keep hoping fall will be here soon! What a great idea! I’m bookmarking this, it would make a great Halloween treat. Haha, so true for me too! What a perfect dish to transition into fall! It sounds downright summery, but the ingredients are 100% autumn. I love the idea. Thanks! I love working with pumpkin seeds and trying to add them into the rotation more. Oooh this sounds totally delicious =) I’m just starting to see squash at the Farmer’s Market (the only thing I possibly get excited about for fall haha ;p). And I’m reading this post late, but it looks like the heat is making a comeback this week! Crazy California weather.